We wanted to thank you both for helping us to become homeowners in this incredible sellers’ market. We could not have done it without your expertise in the Berkeley area and your in-depth knowledge of the local realtor community. We really appreciated your internet empowered way of doing business to keep us informed. Your weekly ratings on open homes greatly shortened our trips through town. I bought my first building in 1977 … and still have it! Having personally bought or sold over a dozen properties in sellers’, buyers’, and balanced markets, we’ve the knowledge and experience to represent you well too. We’ve been in a seller’s market for many years. With low inventory, other buyers will likely be interested in the same home as you. Well priced homes receive multiple offers and sell for more than the asking price. That’s where our research and analysis gives you the extra edge. Graphs and charts are a great way to give you a quick market overview; we bring our 40+ years of experience to bear when analyzing the market and advising you. There’s a relationship between how many buyers ask for property disclosures, and how many offers the home receives. 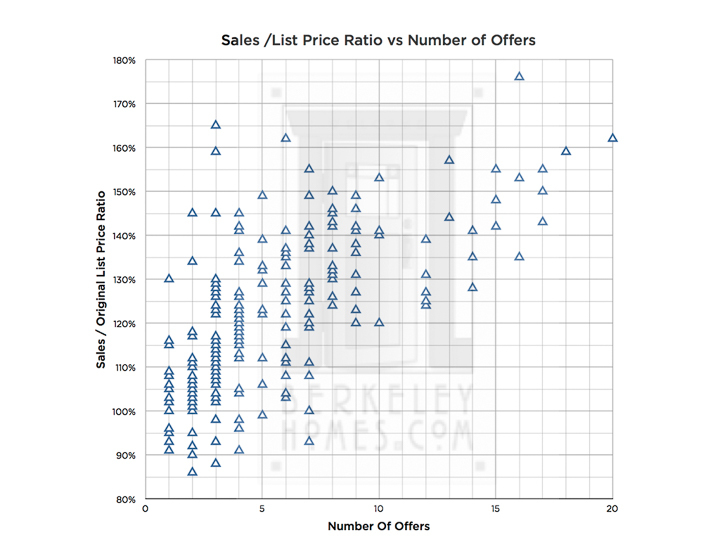 There is also a correlation between the how many offers a listing receives, and the amount of the overbid. 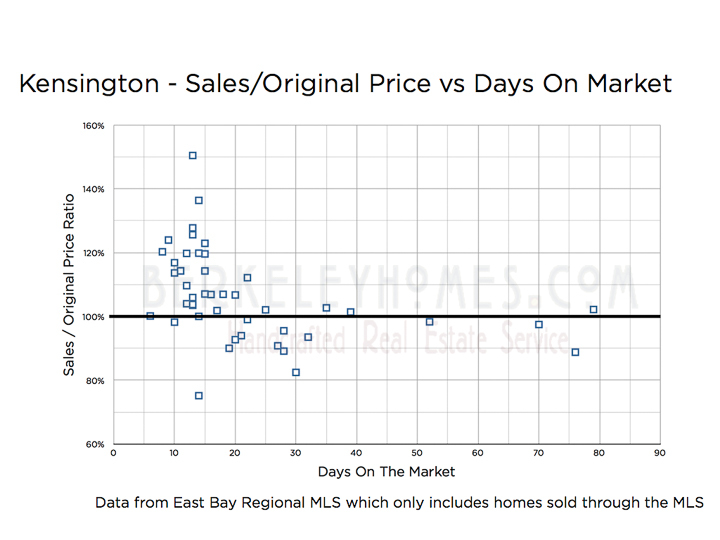 This graph gives a quick overview of a 6 month Berkeley sales price trend; we’ll use recent nearby sales (comps) to prepare a custom market analysis when we’re writing your offer. 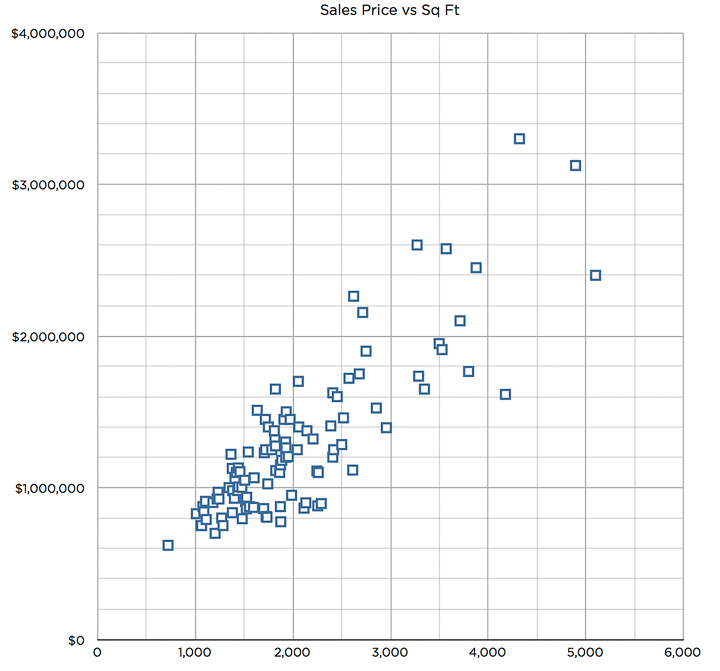 We’ve seen a strong relationship between the square footage of a home and the sales price. 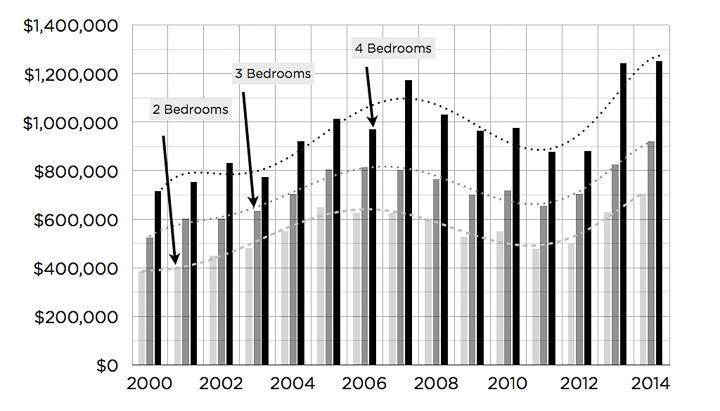 Homes are in different conditions, so you’d expect there to be scatter, but the trend line is clear. Most homes sell within 10-15 days of coming on the market – that’s when a home is most likely to sell for more than its asking price. Once a home has been on the market about a month, when it does sell, it often sells for less than the original asking price. Savvy sellers position their home’s list price to generate multiple offers. The market’s always changing – you’ll have up-to-date information when you’re ready to make your offer.